All the details about NTS GAT General Test Result is available here as well as GAT Subject Test Result 2018. 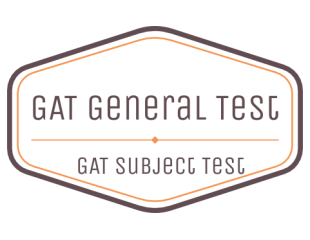 GAT is the short form of Graduate Assessment Test. Two types of GAT. First is GAT General Test while the second is GAT Subject Test. The validity period of both the test remains for the span of 2 years. Those students who wants to apply for GAT General must have 16 years of education. Graduate Assessment Test General is conducted for the purpose of admissions in MS/M.Phil programs. While the GAT Subject is for Ph.D programs. Furthermore, GAT is organize for the purpose to analyze the Quantitative as well as analytical skills of the students. GAT subject test has total of 100 questions. All the questions are MCQS. Total time given to complete the GAT Test paper is 120 minutes (2 hours). 30% of the Total Test is from the general section. While the 70% of the Total Test is from the subject section. All those students who appear in any GAT General Test can check their GAT General Test Result as well as GAT Subject Test Result from here. In GAT subject Candidates with a minimum of eighteen (18) years of education are eligible to appear in the test. Those candidates who wants to improve their previous GAT Test result can also apply. GAT subject as well as GAT General is organize four times in a year. Graduate Assessment Test General is conducted in the month of January, April, July and October. While Subject test GAT held in month of Feburary, MAy, August and November. You will get complete update for the schedule of GAT Subject and GAT General from this page. NTS organize GAT four times a year. Graduate Assessment Tests are name as GAT I, GAT II, GAT III and GAT IV.